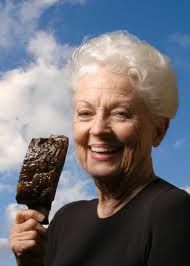 Ann Richards on How to Be a Good Republican: 1. You have to believe that the nation's current 8-year prosperity was due to the work of Ronald Reagan and George Bush, but yesterday's gasoline prices are all Clinton's fault. 2. You have to believe that those privileged from birth achieve success all on their own. 3. You have to be against all government programs, but expect Social Security checks on time. New Updates! (4/21/2019) We've been working really hard on completing our membership system so you can submit quotes and keep track of them. Once this is complete in the coming weeks there will be a lot more quotes by Ann Richards and other authors. We've also changed the sorting on the site so you now see the latest Ann Richards quotes first. Our goal is to have the best Ann Richards quotes on the web!